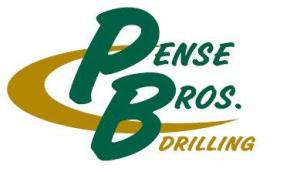 Pense Brothers Drilling Company (referred to as the Company) has 100+ employees working in 15 states: Alabama, Arkansas, California, Colorado, Illinois, Kansas, Louisiana, Missouri, New Mexico, Oklahoma, Tennessee, Texas, Virginia, West Virginia, and Utah. The most frequent position that we hire for is called a Driller Helper, which is an entry level position on our drilling rigs. Employees in these positions usually work a varied amount away and a varied amount off. Days off include the travel time home. The shifts are 12 1/2 hours per day with the work being year round. The job sites themselves can be very remote. Employees are either driven or flown to the job sites with their crew from centralized locations. Lodging and a daily food allowance is paid for by the Company. The Company does conduct drug screenings, driver's license checks, physicals, reference checks, and criminal background checks on applicants. Once an employee is hired, the E-Verify System is used to check employment eligibility. Applicants must have verifiable hard labor experience, be able to handle the extreme weather conditions, be able to travel and be gone for long periods of time, follow safety policies and procedures, and not mind getting dirty. See if you have what it takes to work in the drilling industry by taking our Roughneck Quiz. If so, you can fill out an application by following the instructions here.